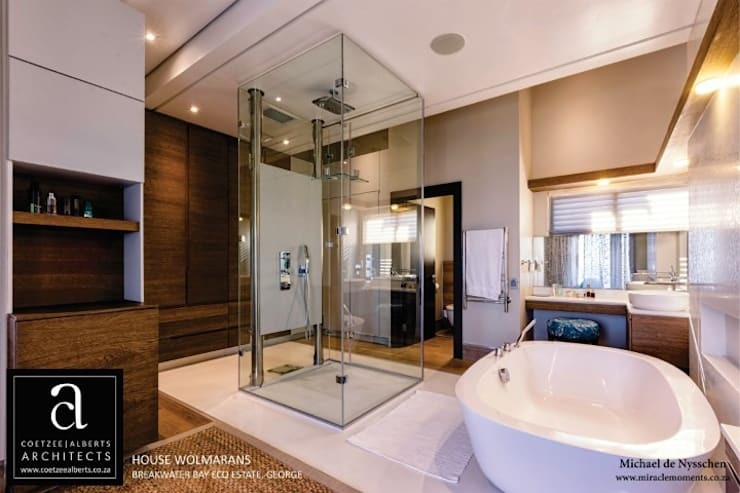 A beautiful bathroom is about creating a fantastic atmosphere, a place to relax and unwind in the comfort of your home as you forget about your woes. 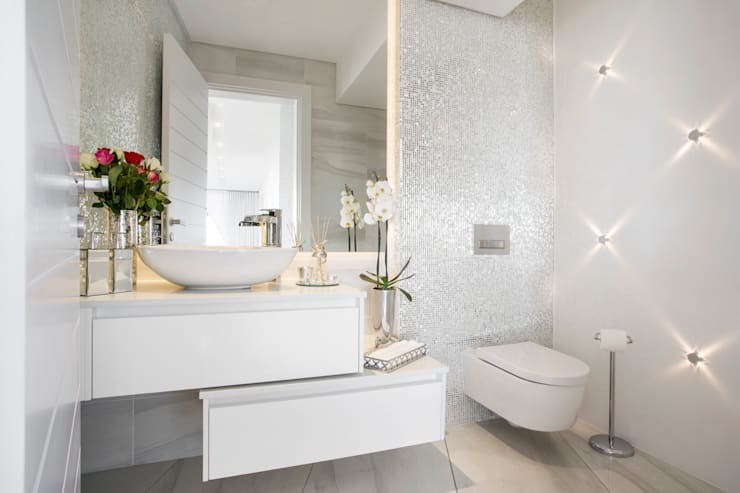 These 10 bathrooms are breathtaking in their own right, with modern fixtures, brilliant detail and elegant illumination, awesome enough to enhance and upgrade any space. Interested? Well, have a look at these easy to recreate tips and tricks. A gorgeous glazed shower, wonderful neutral design and elegant modern fixtures are trendy and tasteful enough for a home with an industrial inspired decor. Here are 7 pictures of beautiful bathrooms for helpful hints. 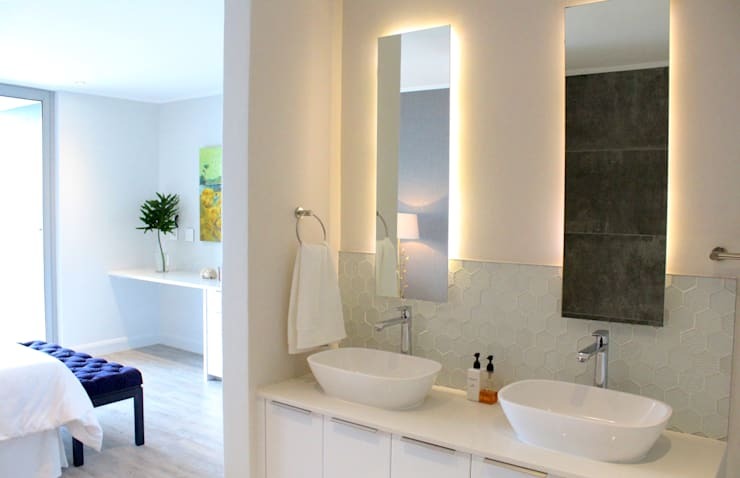 All-white tiles, paired with sultry lighting and simple accessories will ensure that your bathroom is clean, cosy and attractive. There's nothing more welcoming in a modern home than fascinating fresh air. This bathroom is the epitome of romance and luxury, with niches creating an awesome spot for scented candles. Admire the gorgeous view belong while you enjoy a soak in the tub. 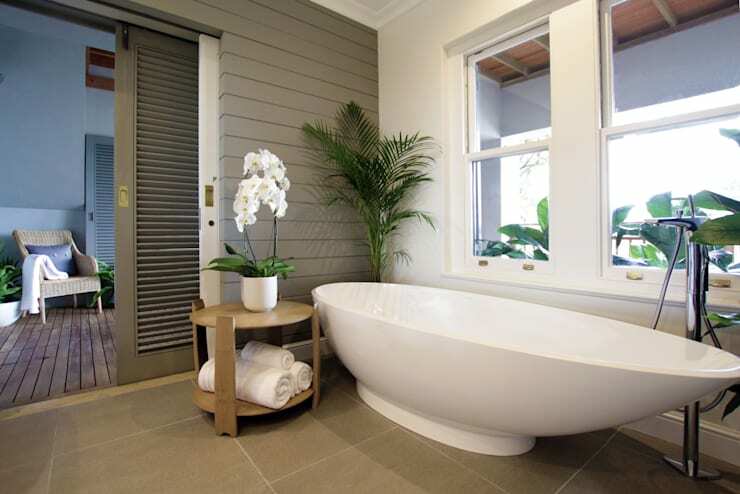 Include some fresh flowers in your bathroom for a stunning aroma that is absolutely inviting and friendly. Incorporate some LED lights behind the mirror to keep your makeup perfectly applied. 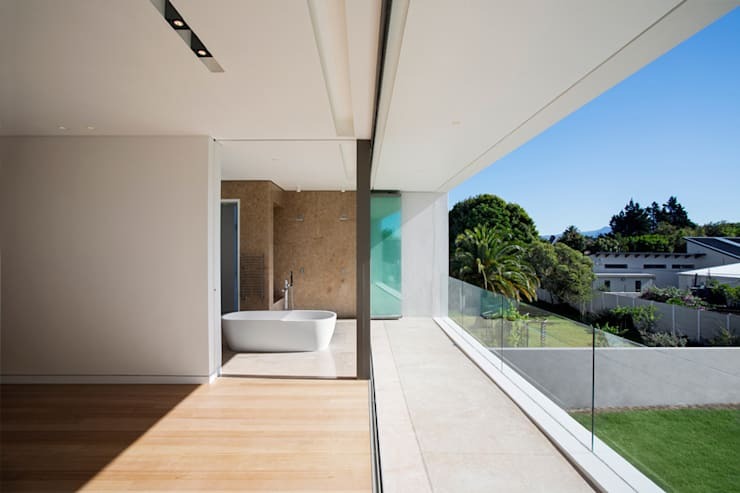 If you're lucky enough to have a spacious bathroom with a sensational view, then plan your decor accordingly and you'll have a landscape to admire. Shutters are great as decor that shields your interior from prying eyes, but when you think about bathroom decor, shutters will make a wonderful addition too. This bathroom is magnificently monochrome. 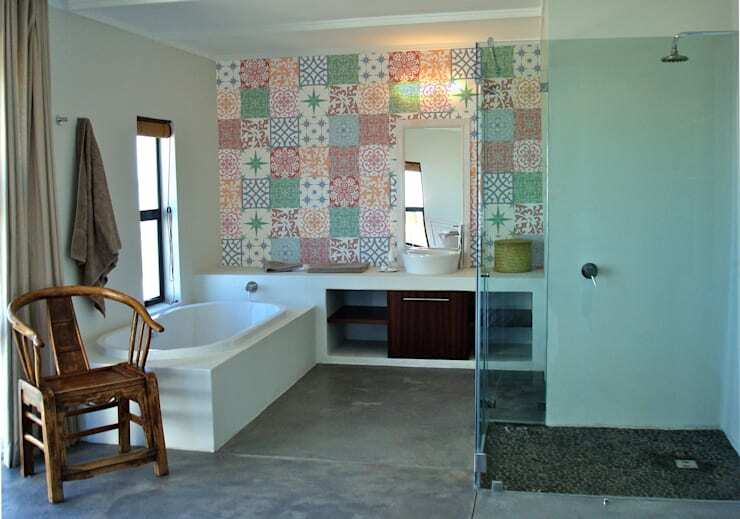 Colourful shabby chic tiles are just awesome if you already have a quirky interior. You may want to consider this design alternative if you're tired of the ordinary and neutral. 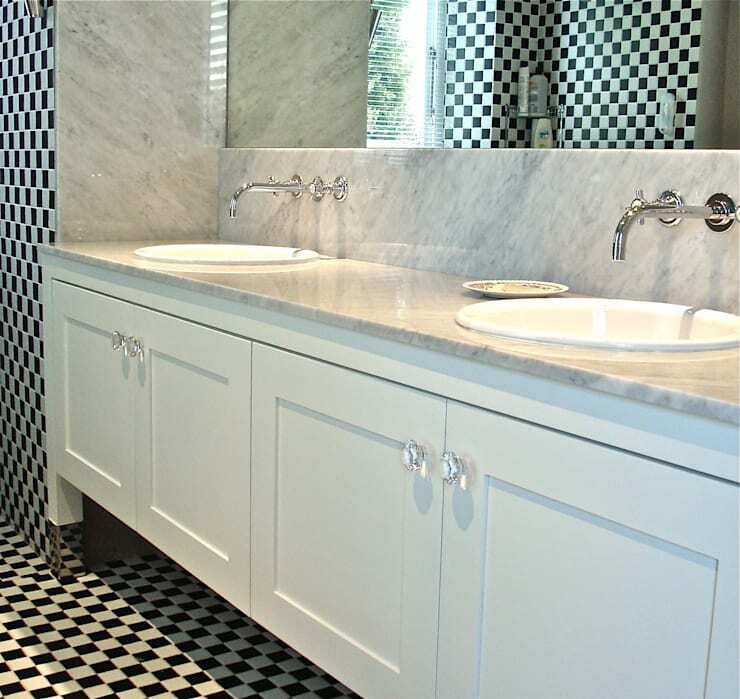 Checker monochrome mosaic tiles is funky and fun-loving, the perfect option for an eclectic home. Which bathroom design do your adore most?